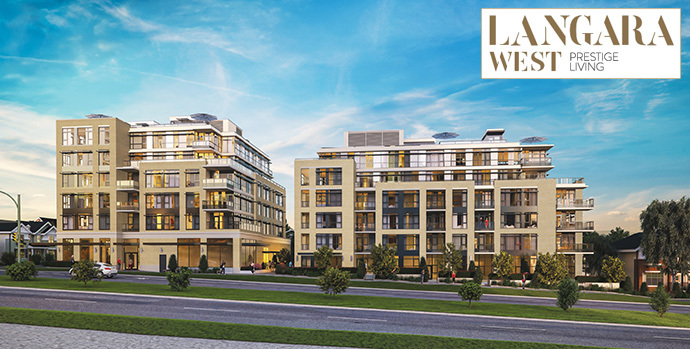 Langara West is a boutique development located in Vancouver’s prestigious and sought-after west side community. Situated at Cambie and 59th Avenue Vancouver, this stunning development is comprised of meticulously designed 1, 2 and 3 bedroom parkside homes in close proximity to recreation, shops and restaurants. The floor plans range in size between 550 to 1,600+ square feet. 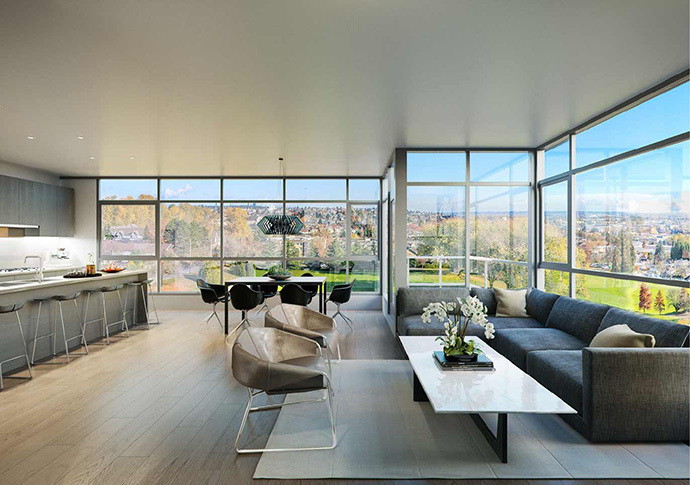 With high ceilings, air conditioning and concrete construction, Langara West Vancouver West Side condos offer refined finishes that embrace luxurious and thoughtful parkside living. Expected completion is around late 2018. The developer for the West Side Vancouver Langara West parkside homes is Vivigrand Developments and the presentation centre is now open at 441 West 57th Avenue Vancouver. A thoroughly modern addition to the South Cambie Vancouver real estate district will feature some of the best value in urban living next to one of the most beautiful parks in the city. From Winona Park to Oakridge Centre shopping and services and from restaurants to the future Canada Line Skytrain Station at 57th Avenue, this boutique Westside Vancouver location of Langara West Condos is the perfect complement of exceptional sense of design and the great outdoors. For more information about this fabulous new project, please visit their marketing web site at www.langarawest.com today or you can simply register on this page for all the details. The project is brought to you by Vivagrand Developments, W.T. Leung Architects Inc. and Area3 Interior Design. The Langara West Vancouver Westside condos will be situated in 2 stunning 6 storey low-rise concrete buildings and will be built to Gold LEED Certification. All homes have a solid 2-5-10 new home warranty, and there is secured underground parking on-site. Also, the South Cambie Langara West condos will feature a fitness gym with cardio equipment, free weights and yoga stretching area, a Party Room with a kitchen, dining area, television and lounge, a large communal patio for outdoor entertaining and garden plots that are filled with indigenous flora. The beautiful homes will feature two colour palettes (Light and Dark) and will feature luxurious wood blend bedroom carpeting, rich engineered hardwood floors in the main living areas as well as air conditioning in all homes. 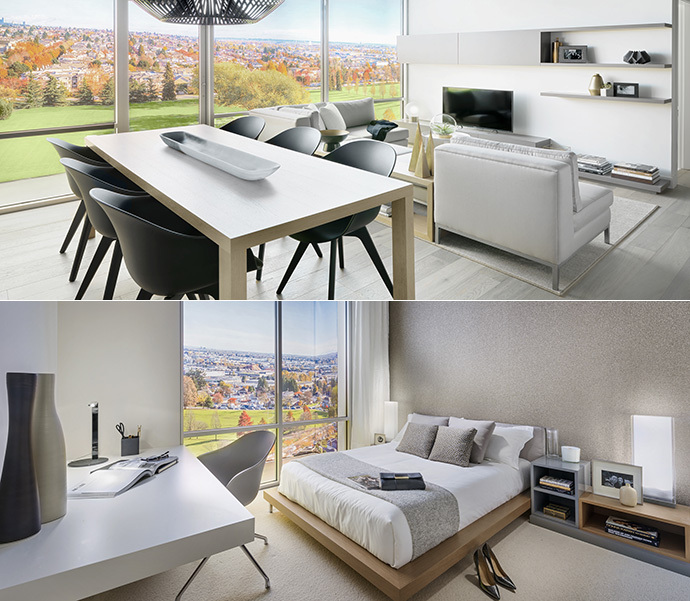 The Langara West Vancouver Westside condos for sale will also feature contemporary roller blinds, large outdoor spaces, private rooftop terraces for select homes, 9 foot over height ceilings and sleek front loading washer and dryer by Blomberg. The bathrooms will feature a lavish frameless glass enclosure, glazed ceramic tile in main bathroom, well appointed porcelain floor and wall tile, modern square edge cabinetry, quartz counters, refined chrome accessories, beautiful Riobel chrome faucet and shower fixtures as well as elegant Duravit two piece toilet, tub, shower and sink. The gourmet kitchens at the presale Vancouver Langara West condos in South Cambie district will feature a complete Miele appliance package including: 30” integrated fridge with bottom mount freezer, 30” convection wall oven, 30” stainless steel gas cooktop with four burners, 30” stainless steel slide out hood fan, and a 24” integrated dishwasher. There’s also a Panasonic microwave with trim kit and convenient Riobel two spray pull out faucet above the seamless Blaco under mount stainless steel sink. 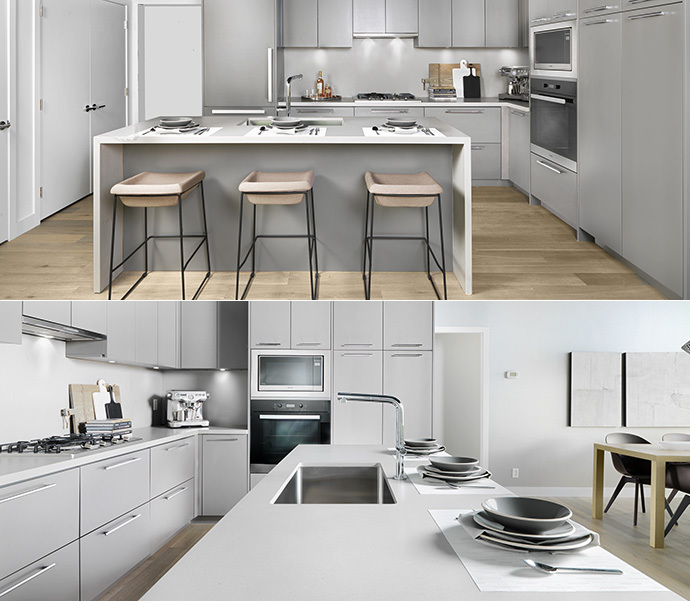 The kitchens at the new Langara West Vancouver condos on the Westside will also feature stunning square edged quartz kitchen counters and backsplashes in addition to a waterfall quartz gable on the islands were applicable. Other features include magic pull out corners where required, handy Richelieu full height pull out cabinet drawer and a built in pull out waste bin with separate garbage and recycling containers. The Langara West floor plans are available after registering. As mentioned above, the new West Side Vancouver condos at Langara West are centrally located so that you can have it all. From the future Canada Line SkyTrain station at 57th Avenue to bus transit routes and from numerous pedestrian and bike friendly city routes, everything is within walking distance from your new home. 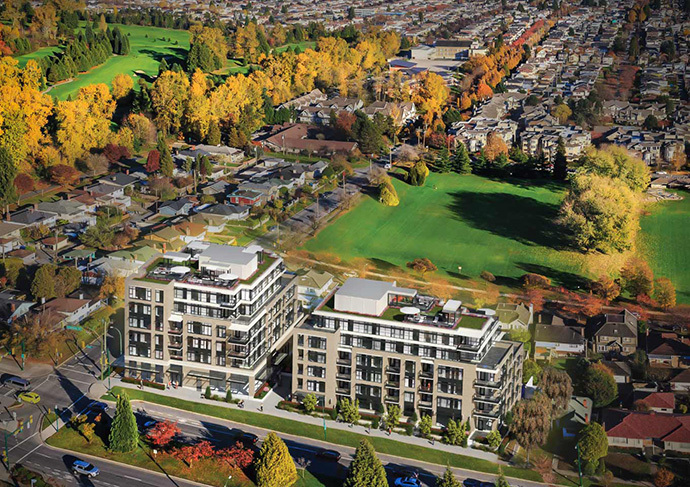 The new Langara West Vancouver condos will also be close to Winona Park and a future development site that will feature 2.5 acres or parkland, 60,000 square foot YMCA, shops, restaurants and a new childcare facility. Marine Gateway and Oakridge Centre are nearby as is Langara College and the Langara Golf Course and walking trails. Nearby are top ranked private and public schools for kids of all ages in addition to VanDusen Botanical Garden and Queen Elizabeth Park. By car, Downtown Vancouver is just 15 minutes away from Langara West Vancouver West Side condos. And Richmond and YVR Airport are just 5 minutes away. If you are attending UBC or have children who do, it’s only 20 minutes away. This is the perfect address for savouring all the city has to offer.